Nigel Mansell’s hopes of winning the 1991 world championship were already hanging by a thread with two races to go in the season. 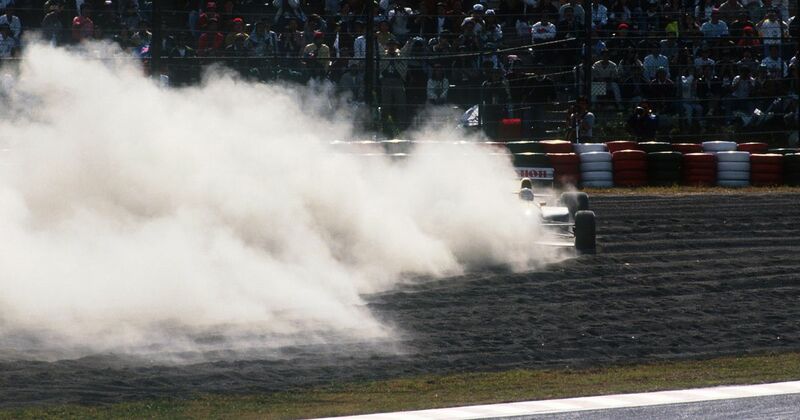 They disappeared completely when he spun out of the race while chasing Ayrton Senna, the result of an apparent braking issue. That ensured Senna would win his third championship whatever happened, and so in thanks to the support Gerhard Berger had given him over the past couple of years, he gifted his teammate the win. Riccardo Patrese was third, Alain Prost fourth, and Martin Brundle’s fifth place turned out to be the final points the Brabham team would ever score.